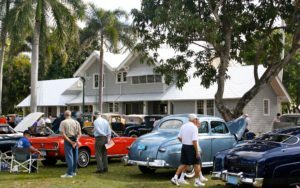 FORT MYERS, Fla. (January 15, 2019) — On February 2, from 10 a.m. to 2 p.m., Edison and Ford Winter Estates will host its annual Antique Ford Car Show. Each year, classic car owners and club members exhibit more than 100 cars on the Ford estate lawn, along the Caloosahatchee River as a tribute to Henry Ford, the pioneer of the automobile industry. Visitors walk through rows of antique Ford automobiles at the annual Edison and Ford Winter Estates Antique Car Show. Along with the car show, there will be music, food trucks and visitors can tour the gardens, museum, laboratory and see the historic homes. This family event is free for Edison Ford members and $20 for non-members, which includes a self-guided tour of the entire site. A special combination ticket for the Antique, Thunderbird and Mustang car shows is available for $30 (online only). 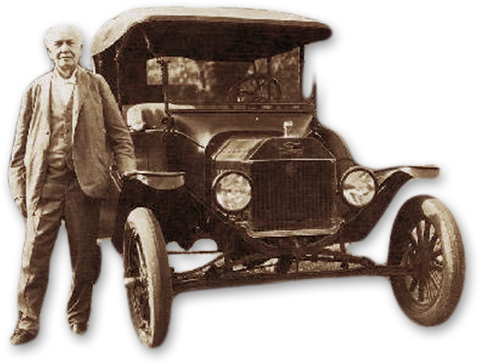 A portion of the proceeds will benefit the restoration of the antique Ford car collection. Registrations are being accepted for Ford models 1980 and older. To register a car, register online or download the form from our website. The deadline for registration is January 30 and the fee is $20 for one car and $10 for each additional car (includes admission for the registered participant and one passenger).